Dimetra IP Compact - ConnecTel, Inc.
Scalable TETRA Infrastructure like Dimetra IP Compact allows you to expand without disrupting your existing users. 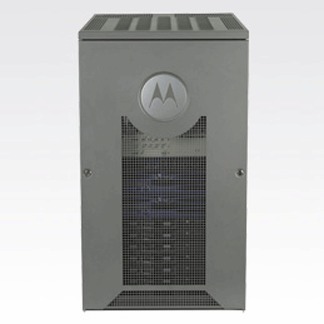 your total cost of owning a robust, reliable dispatch solution, without compromising on the high quality you expect from Motorola. A key part of the continuous improvement process is to understand precisely how events unfolded and to identify system weaknesses. This process is made easier with the optional Logging Recorder. The logging solution is comprehensive, capturing Group Calls, Private and Telephone Interconnect Calls. In addition to voice, Dimetra IP Compact offers data services that can help provide your mobile workers with instant access to business-critical server-based applications. By providing staff members with access to business intelligence wherever they happen to be, the Dimetra IP Compact can help you elevate the productivity and efficiency of the workforce. The data services provided by Dimetra IP Compact are unparalleled, comprising SDS, Multi-Slot Packet Data (MSPD) and TETRA Enhanced Data Service (TEDS). With its comprehensive support of data services, Dimetra IP Compact offers you the flexibility and the capacity to support a wide range of applications.